Guitar Gear Acquisition Syndrome: Paul Reed Smith guitars that I owned before. Paul Reed Smith guitars that I owned before. 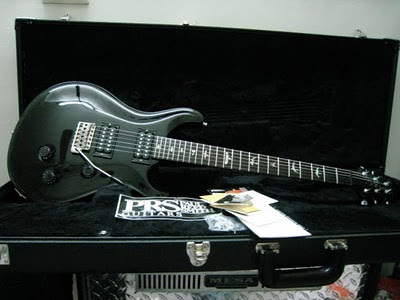 PRS CE-22 was my first PRS guitar back to year 2003. CE (Classic Eletric, Bolt-on maple neck) series was discontinued. 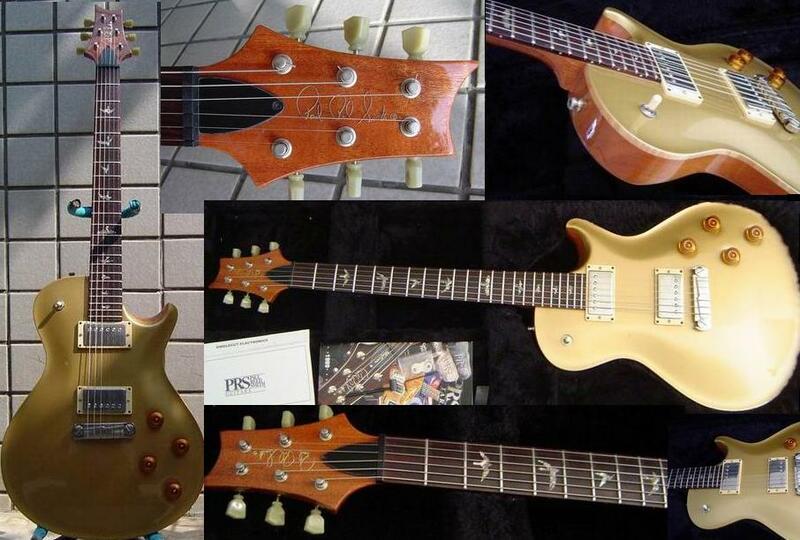 It has bird inlays and nice figure maple top, a rare CE-22 that I've never seen before. Equipped with PRS "Dragon" Bass and Treble pickups. They stopped making them. 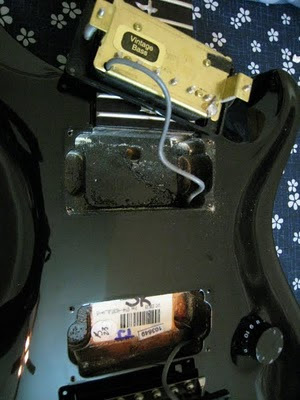 I heard Paul Reed Smith using them in his personal guitars. Long maple neck tenon. 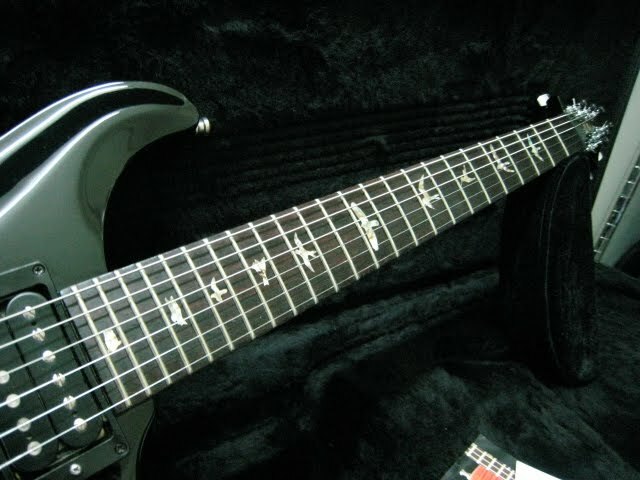 Someone from PRS factory drawn a cute cartoon on it. 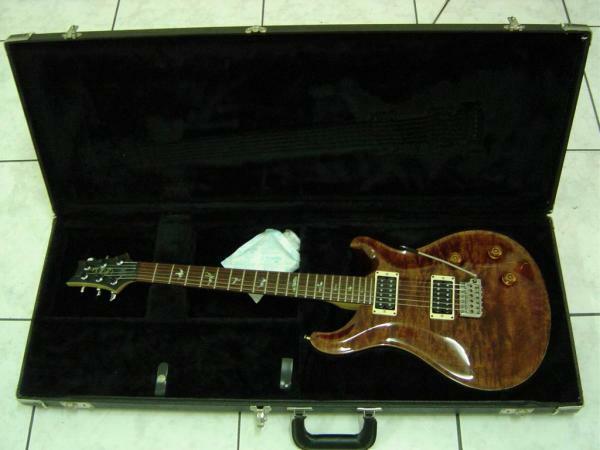 PRS Singlecut(Pre-Gibson Lawsuit model) was my another PRS during year 2004. It has a really fat mahogany neck and thick mahogany body with maple top. I like it better than any Gibson Les Paul that I had before. PRS Standard 24 with bird inlays was my another PRS guitar back to year 2006. Old PRS bird inlays. I don't like current bird inlays design. 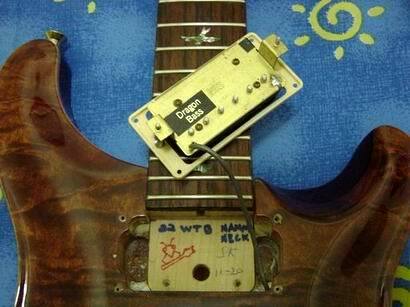 All mahogany body with mahogany neck (long tenon). It sounds darker and warmer than Custom 22/24.